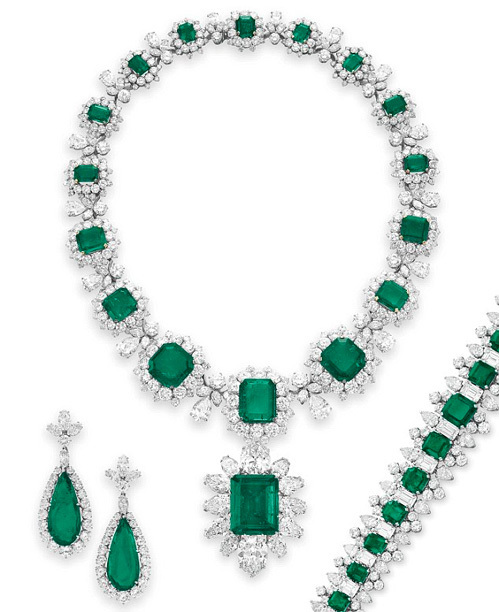 Then there were her showy jewels, for example, an “eye-popping necklace of…egg-sized canary diamonds and amethysts as big as her fist.” Elizabeth promised her husband she would dress down, cutting down on the diamonds and the décolletage, opulence that would not go over big with plain Southern Virginia folk. Besides sacrificing her fashion sense, Elizabeth would set her career aside during this period, appearing in only a handful of films and, then, mostly in cameo roles, requiring only a short stint away from the campaign. 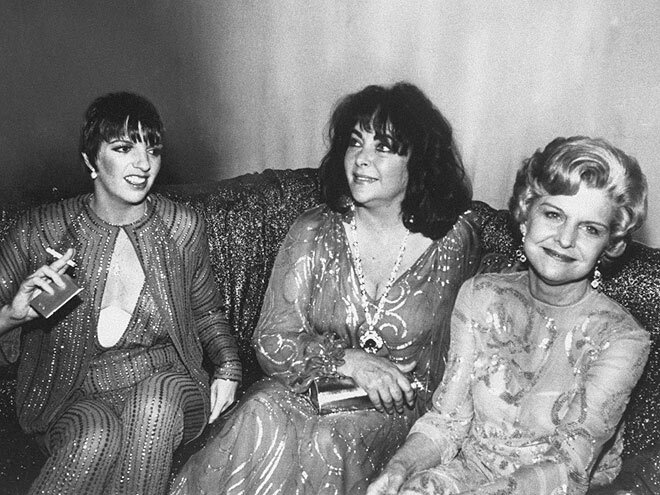 Then there were her friends of the moment, the hard-partying, cocaine-sniffing crowd of the notorious New York disco Studio 54: Liza Minnelli, fashion designer Halston, Andy Warhol, Bianca Jagger. Warner steered her away from hanging out with them at the club (although she did install a discotheque at the farm for entertaining them). Self-restraint, too, was called into play, if Elizabeth was going to help Warner hit a home run, for Elizabeth was a hot-blooded woman, prone to hard-drinking, cursing, and screaming at photographers trying to shoot her from uncomplimentary angles. In January, 1977, weeks after returning from honeymooning in Switzerland, Elizabeth and John hit the campaign trail with an appearance at the Hearts of Gold Ball in Richmond, which they reached by Greyhound bus. From here on out, for Elizabeth, it would be a 23-month slog of kissing babies, speechifying, ribbon-cutting, riding in parades, chairing galas, raising funds, eating corn-on-the cob at county fairs, signing autographs, hurling cream pies, and pinning Warner buttons on Democrats. If a college campus had a drama department, she held a seminar for the students and allowed friendly question and answer sessions, unscripted, with no retakes, to which she was accustomed on a movie set. Toward the end of the race, she and Warner put in 12-15 hour days, riding in planes, buses, cars, and trains to reach their destinations. 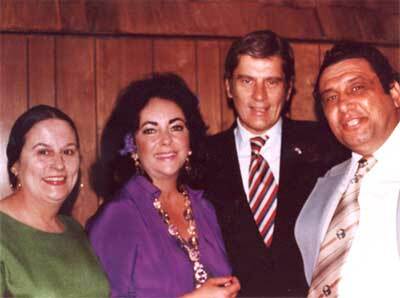 At almost every campaign stop, Elizabeth Taylor look-alikes would show up, in big wigs and evening gowns. In August, 1978, John Warner became the Republic nominee for the U.S. Senate seat from Virginia, when the original nominee was suddenly killed. The general election was on November 7; there were three months to go. The strain of the long and grueling campaign trail was apparent in both of them; tempers frayed and Elizabeth kept eating, eating, and then eating some more. Some campaign leaders worried that Elizabeth’s star appeal was overshadowing the candidate. They considered removing her from the campaign. On October 12, 1978, three weeks before the election, Elizabeth was to suffer one of the many freak accidents for which she was known. She appeared at a rally at Big Stone Gap, Virginia. The whole countryside was in a dither to see her. 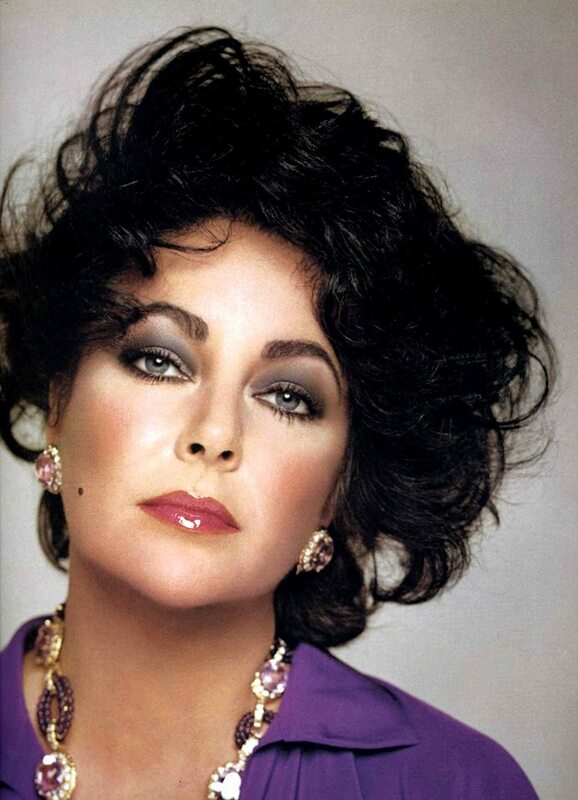 Elizabeth Taylor wore her purple silk Halston pantsuit accessorized with a sumptuous gold necklace studded with amethyst stones the size of cookies and matching drop earrings encrusted with pearls. She had tucked a small bouquet of fresh violets behind one ear. She posed for photo after photo with a smile that was genuine. 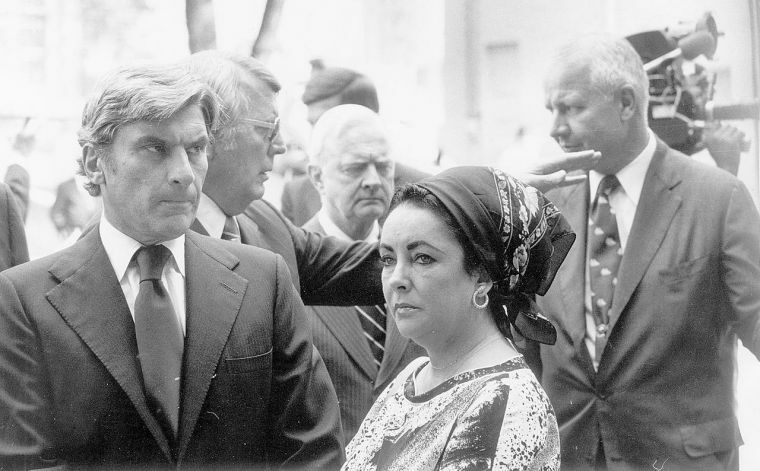 Elizabeth Taylor and John Warner, center, pose at a campaign rally in Big Stone Gap, Virginia. Oct. 12, 1978. 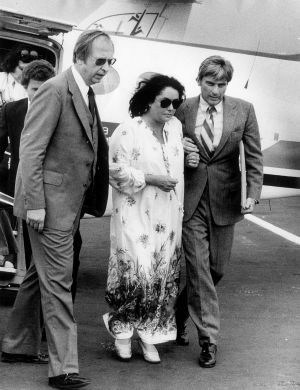 Note the purple Halston pantsuit Elizabeth is wearing. ‘ACTRESS NEARLY CHOKES AT CAMPAIGN RALLY,’ screamed The Washington Star. 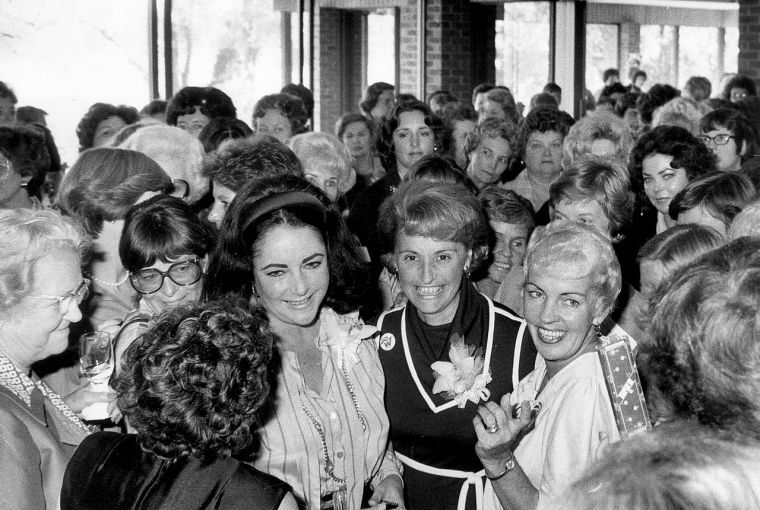 Twelve days before the U.S. Senate election,Republican women crowd around Elizabeth Taylor Warner at the Meadowbrook Country Club, Richmond. Va. Oct. 26, 1978. The subjugation of her own ego to John’s for two full years damaged Elizabeth’s self-esteem. There were few movie roles for an aging beauty, especially a puffy one. 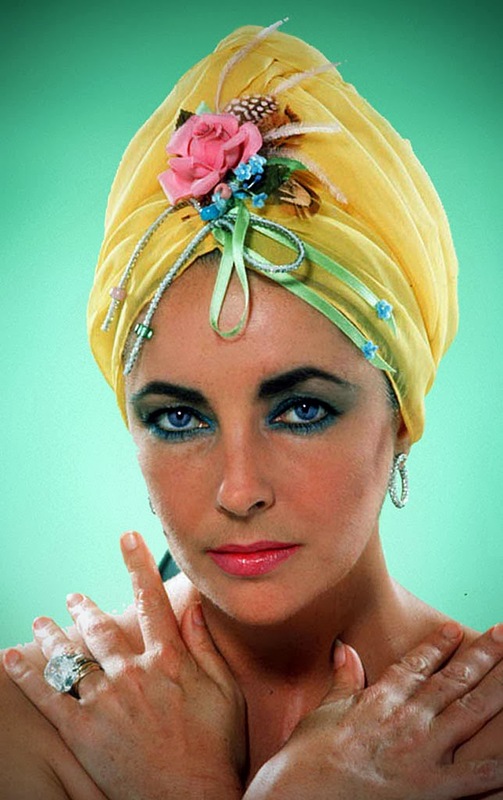 Elizabeth Taylor, movie star, had lost her self-identity. 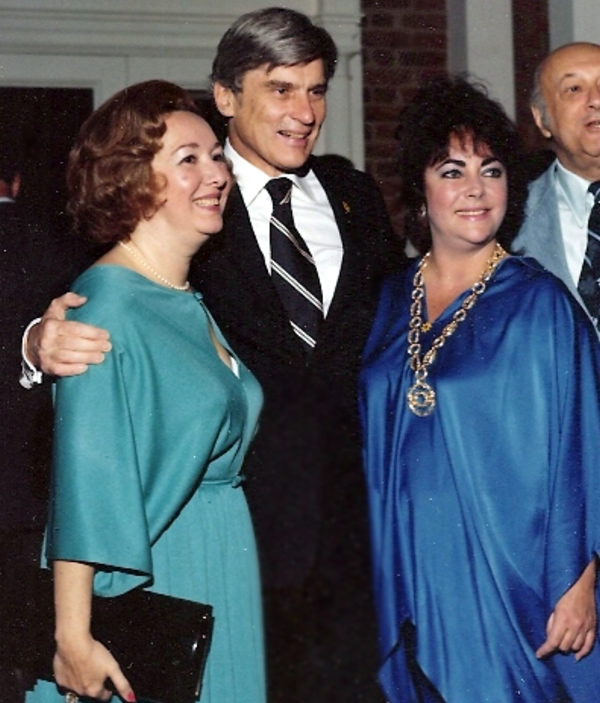 John and Elizabeth moved to Washington, D.C., where, on January 16, 1979 in the gallery of the U.S. Senate, John was sworn in with Elizabeth and her mother in attendance. Things looked rosy for the couple at that moment. John and Elizabeth threw each other big Hollywood kisses, but John immediately became consumed by his new job, declaring he would never miss a roll call. Elizabeth was left alone for long stretches of time in their Washington home or Virginia farmhouse, consoling herself with massive quantities of Jack Daniels and chili dogs. She resorted to trips to New York to hang out at Studio 54. Elizabeth liked to have a man around and John wasn’t there for her. Whereas John may have loved Elizabeth, he loved work more. Elizabeth had married John Warner in the hopes that he would give her the roots (and a private life) that she had longed for so much in her hurried life. Instead, she had spent the first two years of their marriage on the campaign trail and in the public eye more than before, if that is possible. Her life was more stressful than ever. As a star, she was used to crushingly cruel movie reviews but nothing could have been as brutal as the punishing ridicule she had received from the media for her weight gain. 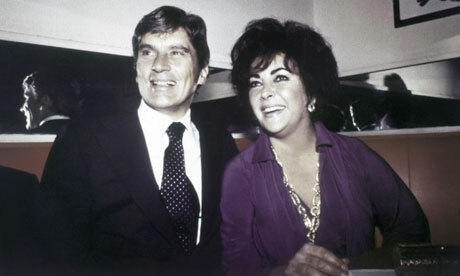 Though these years were painful for Elizabeth – she and John Warner would divorce after six years of marriage – her worsening addiction to alcohol, pain pills and food would put her feet firmly on a path that led, in 1983, to a life-changing stay at the Betty Ford Clinic. 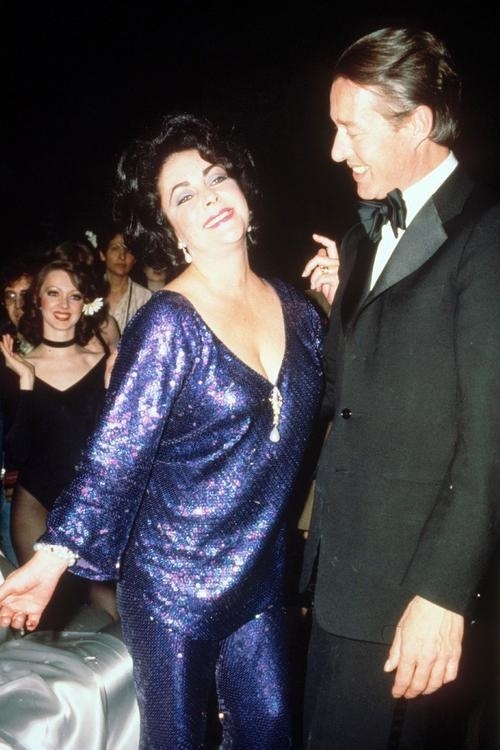 A new Elizabeth Taylor would emerge from the famous rehab: a savvy and respected politician who would use her high profile celebrity to raise mega millions to combat the deadly disease, AIDS, by creating AMFAR. (1) Kelley, Kitty. Elizabeth Taylor: The Last Star. New York: Simon & Schuster, 1981. (2) Heymann, C. David. 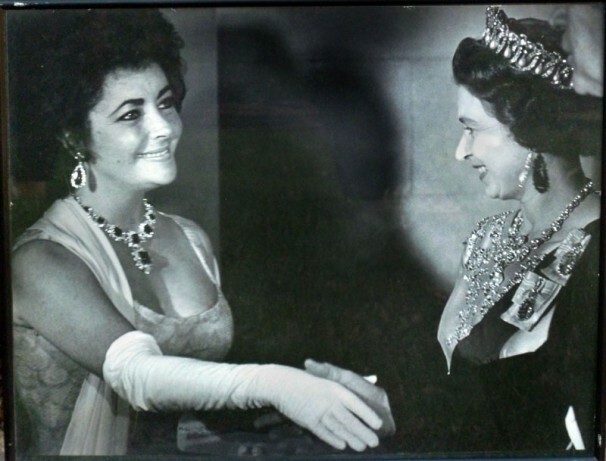 Liz: An Intimate Portrait of Elizabeth Taylor. New York; Simon & Schuster, 1995. (3) Taraborrelli, J. Randy. Elizabeth. New York: Grand Central Publishing, 2006.